Steve Coogan has been given a gig travelling the lake districts of England, staying in delightful hotels and eating marvellous food, and all he needs to do is write it up for the Observer. 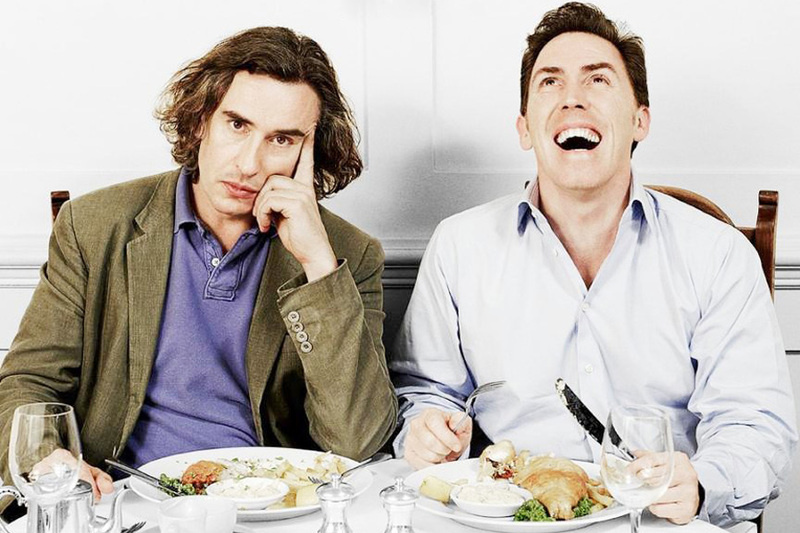 His young American girlfriend can’t make it, and so he invites his mate, fellow comedian Rob Brydon. The two of them have a gentle rivalry and spend much time trying to out-impersonate each other. There is a lot for a viewer to enjoy about this film. I’m a huge fan of the humour of these guys together, especially when crafted into a cohesive story balancing the laughter with scenes of melancholy. Then there is the scenery, the beautiful places they stay and, of course, the food. Oh, the food. The Trip can be watched as a six-part television series or has been cut down for a feature film. I loved this (I watched the television series). It strikes a very adult balance between silliness and poignancy in places. I think the individual desperation of the two characters as an aspect of the story is often overshadowed by the comedy – which makes sense I guess, as it’s pretty damn funny!